ATG REST module provides two input customizers out of the box. This means that you can send the request parameters in JSON format or XML format and ATG REST is capable of handling it. In the current version of ATG, it doesn’t provide input customizers to parse the multipart form data. In this post I would explain you the steps involved in writing and configuring a multipart excel input customizer. 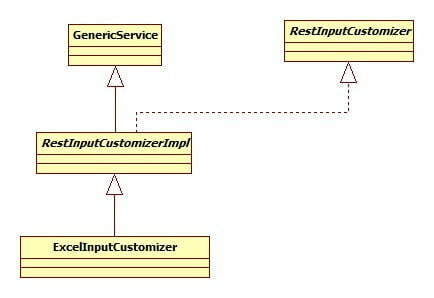 To write a custom input customizer you should extend RestInputCustomizerImpl class provided by ATG REST. Create ExcelInputCustomizer.properties file in location /info/atgblog/rest/input. Open up the /atg/rest/Configuration.properties and add the ExcelInputCustomizer for excel mime type. How to write a program in ATG .